8-day,7-night cultural tour, revealing the creativity spirit of the Bulgarian Renaissance and the charm and tranquility of small museum towns. Scenically located at the foothills of sandstone pyramids, this smallest museum town is famous for its architecture and red wine. 14 days, 13 nights cultural tour, featuring cultural highlights of the two UNESCO countries. The Peles Castle, now a museum, used to be the summer residence of the Romanian royal family until 1947. 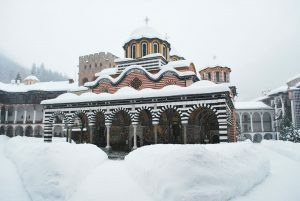 The Rila monastery is a most famous architectural monument of the Bulgarian Revival and the largest in the Balkans. 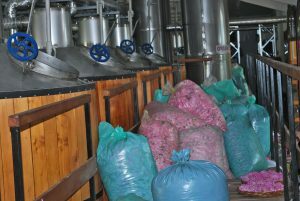 The tour is focused on visiting the Rose Valley at the beginning of the harvest season and meeting local producers of highest quality natural rose oil. 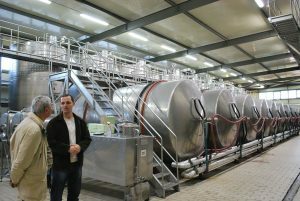 Discover the secrets of the distillation process and production techniques during 3 rose-oil distilleries visits. Bulgaria is one of the three biggest wine producing nations in Eastern Europe with a wine history going back to prehistoric times. Make a note of the names mavrud, melnik and rubin. These are the most interesting red wine local varieties. Located in the heart of the Balkan Peninsula, Bulgaria is the ideal starting point for exploring the region. We offer 13 tours, focused on local culture and heritage. We have 3 combined tours with Romania, two starting in Sofia and one starting in Bucharest. 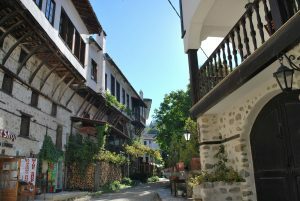 We offer two options: Macedonia – Cradle of Culture, Land of Nature, a 3-day tour from Sofia and a second tour, exploring the cultural heritage of Ancient Macedonia. Bulgaria, Romania or Macedonia in 2019? Quality private tours, tailor-made group or specialty interest tour packages and weekend getaways - these are our best selling offers. We design and operate creative custom tours, city breaks and special interest visits and cultural connections for 24 years. Bulgaria and the neighbouring countries are a wonderful place to visit, whether it is a short stopover, an exploration of the roots of European culture, a rediscovery of natural scenery and wildlife, or a visit to the more refined Black Sea resorts which, despite the results of mass tourism, are still there if, as we do, one knows where to look. 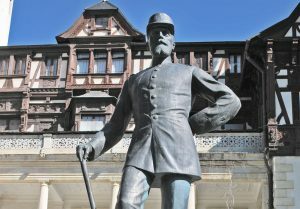 Bulgaria was on the top 10 countries list, together with Albania, for 2011 according to Lonely Planet’s “Best in Travel”. Bulgaria is ranked among the 10 best wine travel destinations of 2017 by Wine Enthusiast. Start planning your trip now, explore the unexplored, yet authentic part of Europe. Cultural insight is the value our tours provide. Guaranteed departure tours, short stopovers or longer round-trip tours, guest house or luxury hotel - it is all your choice. Browse our tours and call us - we are just one click away, always available to assist you. Rosa Damascena is the name of the oil-yielding rose, which made Bulgaria famous for production of the best rose oil in the world. Our cultural tours are designed for discerning travellers with particular interest in culture, customs, traditions, historical monuments and beauty of nature. Bulgaria is a small country, rich on historical facts and events, accumulated during the last 7 000 years. Here is one of the curiosities, much to everybody's surprise, the oldest gold treasure of the world was found neither in Mesopotamia nor in Egypt, the native lands of the earliest known civilizations, - it was found in North-East Bulgaria, near the city of Varna. It dates as far back as more than 6 000 years. Bulgarian folklore dance class, we know where to go, too. A home-hosted lunch or a wine-tasting session, Orthodox acapella concert in a mediaeval church or an Easter egg-painting demonstration, all this makes your travel experience unique and memorable. Our cultural tours are designed for discerning travellers with particular interest in culture, customs, traditions, historical monuments and beauty of nature. Bulgaria is a small country, rich on historical facts and events, accumulated during the last 7 000 years. Here is one of the curiosities, much to everybody's surprise, the oldest gold treasure of the world was found neither in Mesopotamia nor in Egypt, the native lands of the earliest known civilizations, it was found in North-East Bulgaria, near the city of Varna. It dates as far back as more than 6 000 years. We have been arranging trips for you in the friendliest and most professional way since 1994. The travel business changed dramatically during the past decades, new technologies developed new styles and travel routines, Virtual Reality travel is just around the corner. Hospitality is our brand. What we believe in is that the hospitality business is the most peaceful form of all businesses and it is a solid ground for sustainable development for the local communities. The concept of cultural connections through quality travel services is our guiding principle. We offer several tour options to choose from: join a small group guided tour, quality private itineraries for both guided or self-guided touring, bespoke tailor-made tours customized to your specifications. We provide our guests with a personal travel planner, allowing the flexibility of choosing your own arrival and departure dates. Guided sightseeing is the greatest and the most profitable part of the tours. All tours are guided by a knowledgeable local guide, native of the country visited, who will answer any of your questions in details. Our private guides and drivers, who accompany guests throughout, create an intimate and friendly atmosphere we all seem to crave. Itineraries are planned attentively and precisely. They cover famous places all over Bulgaria, Romania, Macedonia or Northern Greece. Besides the most famed sightseeing, you can choose a tailor-made tour and be able to take pleasure in nature silence and relax peacefully, away from crowded cities and stressful daily life. Most of our tours start and end in Bulgaria. One tour starts in Bucharest, Romania and proceeds to Bulgaria to end in Sofia. We offer all kind of services related to your visit. We also encourage travellers to combine travel to Bulgaria with visiting other neighbouring countries - Romania, Macedonia, Serbia, Greece or Turkey, or any other European country. We share the idea of slow-paced art of travel. There is no need to be on the go while travelling, isn’t there? We all have enough stress in our everyday lives. We try to find the balance between slow-paced and standard sightseeing. Most of our tours’ timings provide some time at leisure for you to enjoy the local culture on your own. We are always open to hear your views in the matter. Should you prefer a fast tour, please have your say. We are available for our guests 24/7, our guide or office staff are always a phone call away to provide you with the peace of mind needed for your valuable travel experience with Brill Travel.  The most popular Bulgaria's cultural events and festivals have been included in our list, for information purposes only.We regularly update, including new events in our cultural calendar selection. If you do not find the festival you are looking for, please check again later or contact us for further information. Our quality private day tours in Sofia, Plovdiv and Veliko Tarnovo will give you the opportunity to enjoy private guided city tours with the best local licensed guides. Knowledgeable and friendly, our guides will make you feel the atmosphere of each city, visiting the main sites at your own pace.